After selecting an abundance of incredibly public figures to partner with, MAC Cosmetics has chosen to move forward with a handful of less prominent, yet equally talented, names for autumn. Stephanie Seymour's offspring Harry and Peter Grant are collaborating with MAC, according to Fashionista, which may seem surprising until you consider that they have made quite an impression on the fashion industry in their own right. While consumers still anxiously await further details on the forthcoming project, it seems safe to say that fall 2015 is off to an incredibly beautiful start. 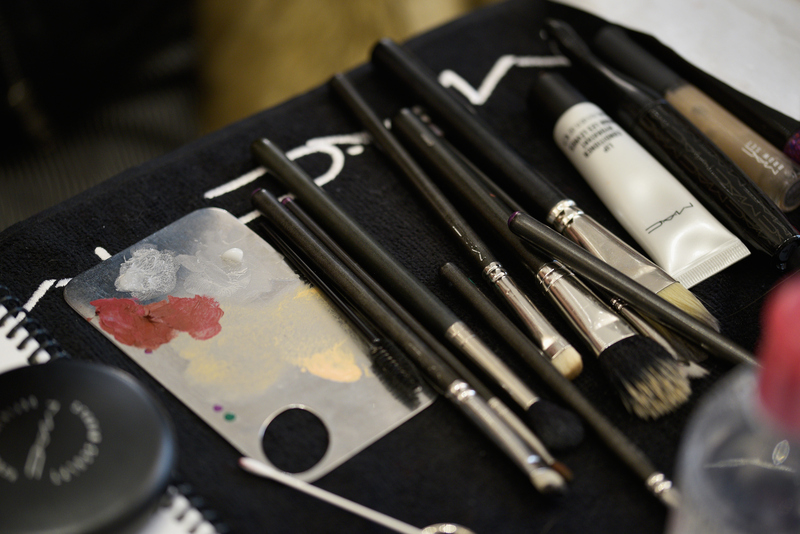 Former theatrical makeup brand and fashion industry favorite MAC Cosmetics is known for its unexpected partnerships. From Rihanna to Lady Gaga, MAC's favored virtuosos and divas debut collections for the makeup company on a semi-regular basis, created bold, brash shades for makeup mavens who adore a challenge and lighter hues for those more reticent to try a dramatic look. These utterly radical unions with culturally relevant personalities often yield the most provocative hues, from Miley Cyrus's tangerine Viva Glam Miley II to Giambattista Valli's perfect pink. No matter your color or formula preference, MAC's limited-edition partnership products are not to be missed. Read on for five of MAC's most shocking collaborations, from the sublime to the simply surprising. Perhaps the surprise was so great due to the fact that neither Harry nor Peter creates quite the media sensation that Miley Cyrus does, but the brothers' impending set of brow corrector, concealer, and base may be MAC's most intriguing yet due to its marketing towards men. Chanteuse and rapper Candy could easily be labeled this year's Lady Gaga due to her outre style and beats, but her vixenish red lipstick is sheer glamour. A designer of Giambattista Valli's ilk may seem like a perfect fit for MAC, but nevertheless it was a welcome surprise that Valli had chosen to utilize his ultra-feminine design aesthetic to fashion a winsome collection for MAC. The late singer Selena will serve as a guiding light for MAC next year when the performer's signature style will be reinterpreted in the form of a limited edition collection. With her musical prowess as a DJ and her beautifully rebellious mien of dress, Moretti served as a surprising yet inspiring muse for MAC in April 2015. Brazil-based blogger Julia Petit may have appeared a left-field choice for a MAC collaboration, but the fashion maven's fiery locks and fierce fashion choices were a perfect fit for the cosmetics company's aesthetic. Renowned fashion designer Isabel Toledo partnered with hubby Ruben on a MAC collection in 2014 that was sheer romance, from its peach-hued blush to its crimson lipstick.